The 2019 Volkswagen Tiguan interior is all at once spacious, comfortable, stylish, and techy. 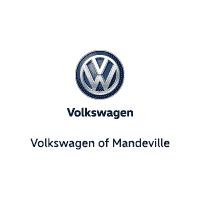 You can explore the new Tiguan SUVs at Volkswagen of Mandeville in Mandeville, including their many exciting features like VW Car-Net® App-Connect and an optional Blind Spot Monitor. But first, read up on what you’ll find inside the cabin. Learn more about the Tiguan SUV interior below! The Tiguan interior gives you extra legroom, vibrant color options, and more to match your preferences. With options like V-Tex leatherette upholstery, available Vienna leather upholstery, an available panoramic moonroof, and up to 73.5 cubic feet of cargo space with the rear seats folded down, the Tiguan can accommodate for every passenger. Plus, you’ll have enough cargo space for any overnight bags or luggage you bring with you on your Slidell day trips. Sure — the Tiguan SUV offers some of the latest and greatest technologies from the brand, but it’s also built for practicality and convenience. The Hands-free Easy Open and Easy Close Liftgate, for example, makes loading and unloading a cinch. Cargo-area seat release levers, a configurable third-row, and dual-zone automatic climate control will help make your travels through Hammond easier. Step inside the Volkswagen Tiguan interior at Volkswagen of Mandeville! Contact us to schedule a test drive near Baton Rouge. Searching for a specific trim, such as the Volkswagen Tiguan SE or Volkswagen R-Line? We can help you find it and secure a Volkswagen Tiguan lease or finance solution that suits your needs.